I am excited about this week's challenge at Heart 2 Heart, "Doodling". 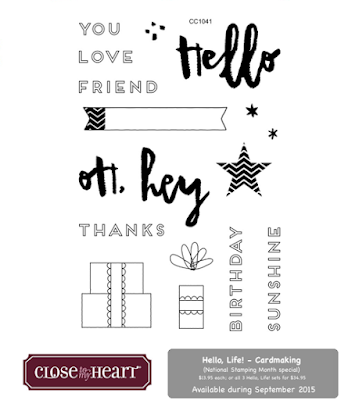 I took the easy way out and headed straight for the "Doodled Designs" stamp set from Close To My Heart. Then I needed to decide what I was going to do with it and came up with this. The La Vie En Rose paper pack was used for the B&T and the adorable polka dot strip...yeah...it's one of the zip strips included with this paper pack. Isn't it too fun?! How much would you pay to have a full sheet of that beauty?! 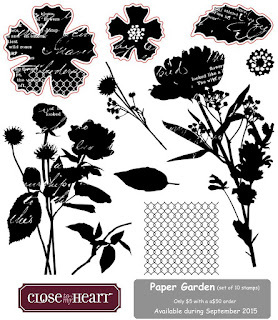 Black and the beautiful and new cardstock, Pomegranate, were added as were some floral images stamped with Pomegranate, Pixie and Sweet Leaf. 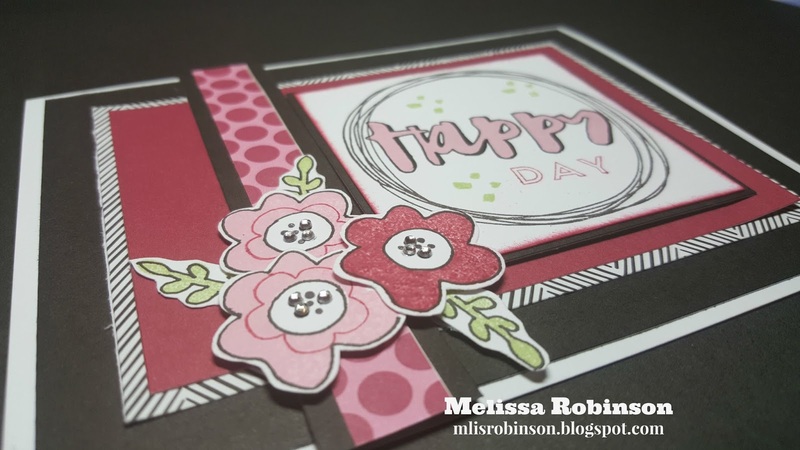 I doodled around the floral images and "happy" using our Journaling Pen. 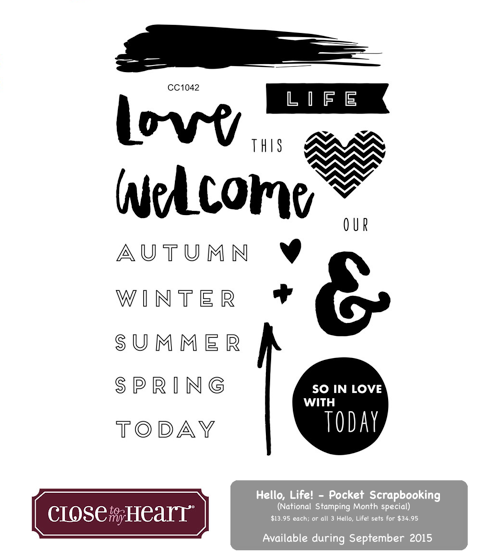 Images stamped are from the Hello, Life stamp sets that are part of this month's National Stamping Month promotion. 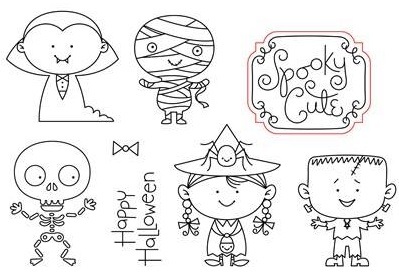 There's only 9 more days left in the month to celebrate it and get these exclusive stamp sets. 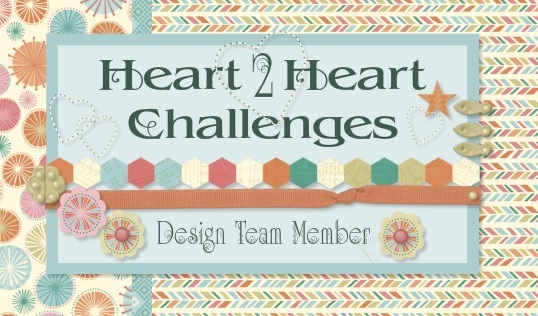 Be sure to link up to this challenge and showcase your fun creation! It's always fun to see everyone's spin on the topic. Thank you for joining us at Heart 2 Heart! Thank you for joining us this month as we focus on one of our newest products, Watercolor Paints! I have experimented a little bit with them but am looking forward to playing with them a lot more. I am looking forward to seeing the artwork that is shared through this blog hop and hope you are too! If you are coming from Michelle's Blog, you are on the right track. A complete list of participants is provided at the end of this point, should you need to refer back to it. Now, shall we get started?! 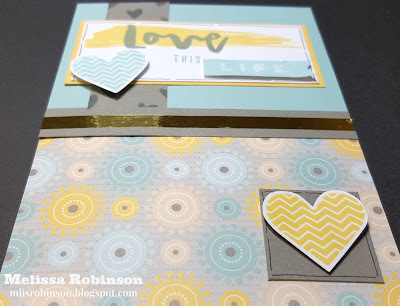 I am about simple but fun and think this card totally conveys both of those principles. While the focus of the card was to be on the watercolor, I had fun adding a few splashes of paint from the "Ink Blot" stamp set, a sentiment and some bling, of course! This card front was created on our Watercolor Paper. I have compared it to others and ours is beautiful, smooth and White Daisy. Others I have experimented with our ridged and just not as nice. Buy some. I think you will agree! I did apply water to the area where I would use the watercolors before I applied color, to provide a smooth spreading of the paint. I did heat set it with a heat tool before moving onto the next part of the card because I did not want to wait. (It does not take that long to dry naturally.) The splatters were stamped with Whisper ink. 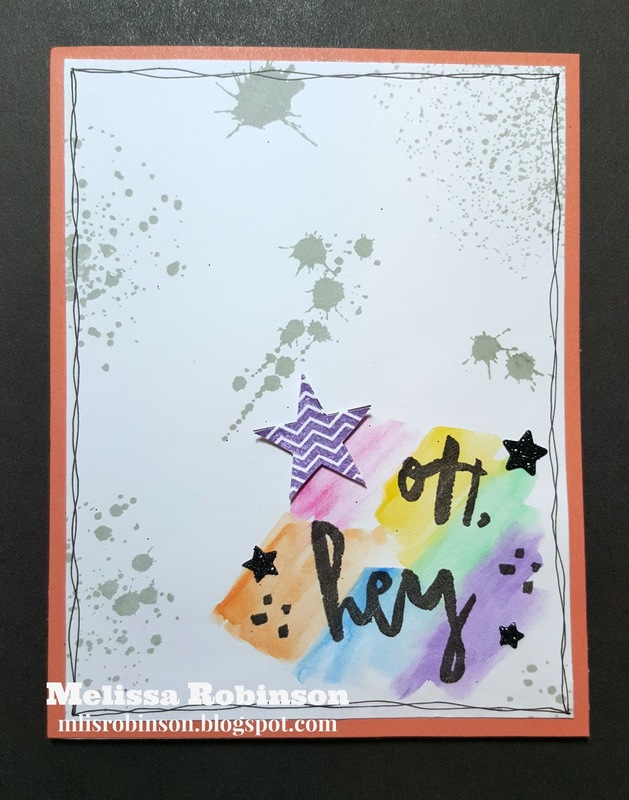 The "Oh, hey" sentiment, "dots" and purple star are from one of the Hello, Life stamp sets that are only available this month. 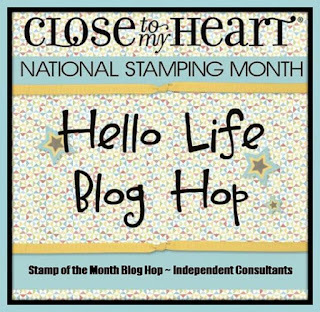 (Be sure to order one or all three of them while you can in celebration of National Stamping Month.) The smaller stars are glitter stars from the Fundamentals Assortment (available in quite a few colors) and totally fun to add when your artwork needs just a bit more. We appreciate you hopping with us and I enjoy sharing my artwork with you! 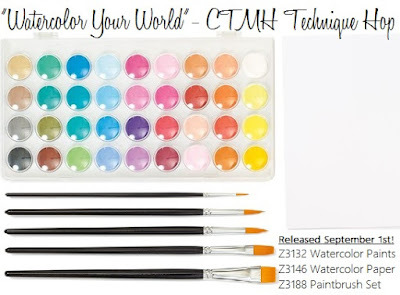 I hope it is has inspired you to incorporate water paints into your creations! 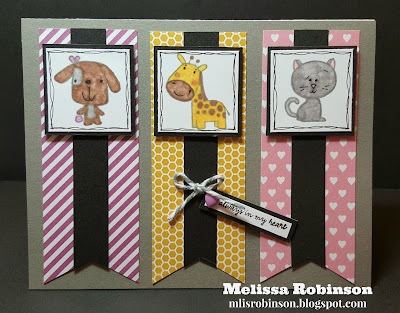 Now, head on over to Catherine's Blog and check out the fun she created! 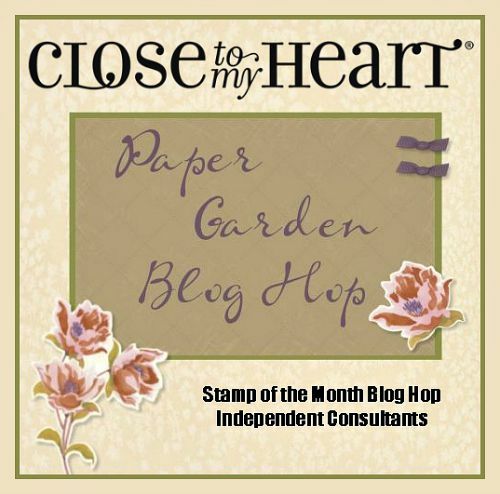 The Ink Blot stamp set from Close To My Heart is totally fun and I have used it on several projects that I will sharing soon. While it seems so simplistic, and maybe unnecessary, you will find out it is too fun and will need to add it to your selection of stamps! I love the texture it provides through the various images. You can view it by clicking HERE. Because of the random-stamped strip of paper created for this card, I only used solid cardstock; Cranberry, Sunset, Gypsy, Pear, Pacifica and White Daisy. 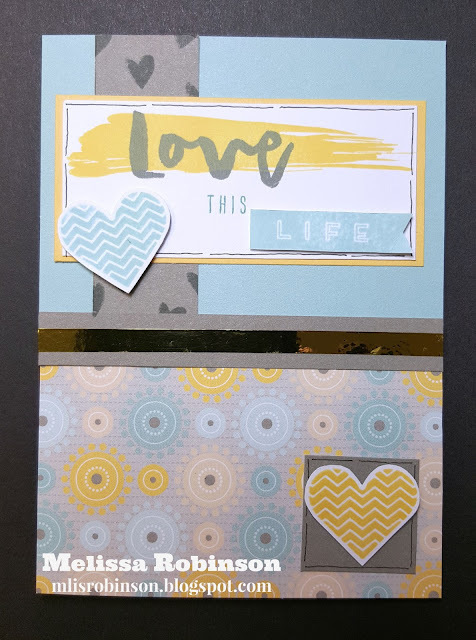 The card is pretty simple with stamped images also coming from the "So Many Smiles" stamp set (polka dot circle) and the "Pen Pals" set (sentiment and paintbrush). 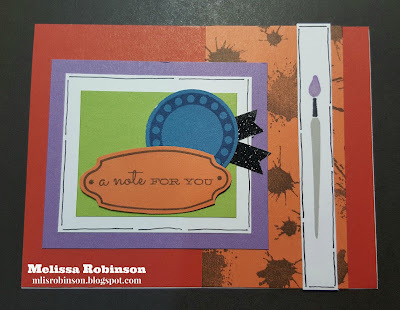 To get the three-color paintbrush image, I stamped it first in Whisper ink and then used the ShinHan markers to give it the black and purple color. I love how it turned out. Glitter Shimmer Trim was used to add bling that every card needs, of course. Consider linking your artwork to the blog. We love to see what you create! Have a blessed and wonderful week! 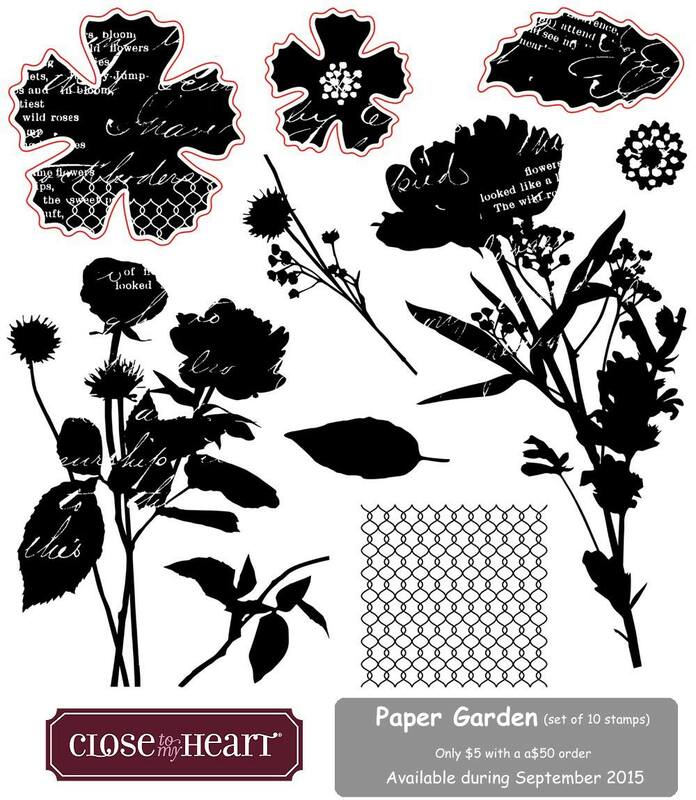 This month members of the Stampers with Attitude Team from Close To My Heart are showcasing the Nevermore paper pack and we are thrilled you have joined us! If you are coming from Aggie's Blog, you are on the right track. You can find a complete list of participants by clicking here. 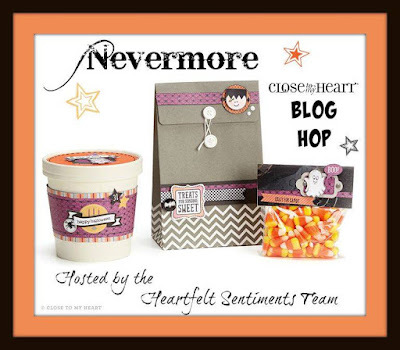 I have made a few things, so far, with the Nevermore paper packet but both have been Halloween-themed. I decided to try otherwise for this card and am pleased with how it turned out. B&T from the paper packet, and coordinating cardstock, were used. 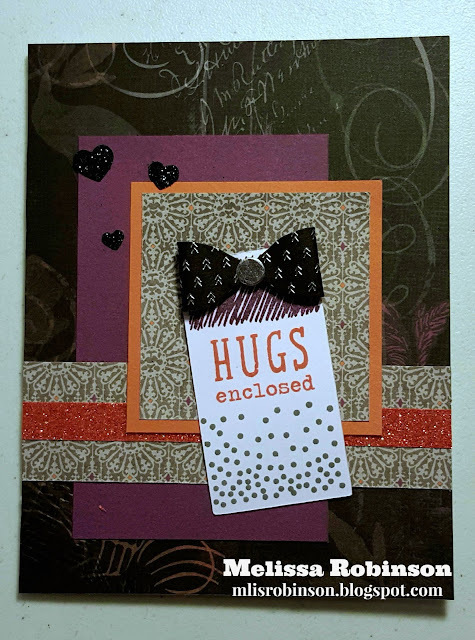 I stamped a tag from the fun and new stamp set, "Packages, Boxes, & Tags" (in coordinating inks), added a bow and glitter heart from the Black Fundamental Assortment, and Coral Shimmer Trim. 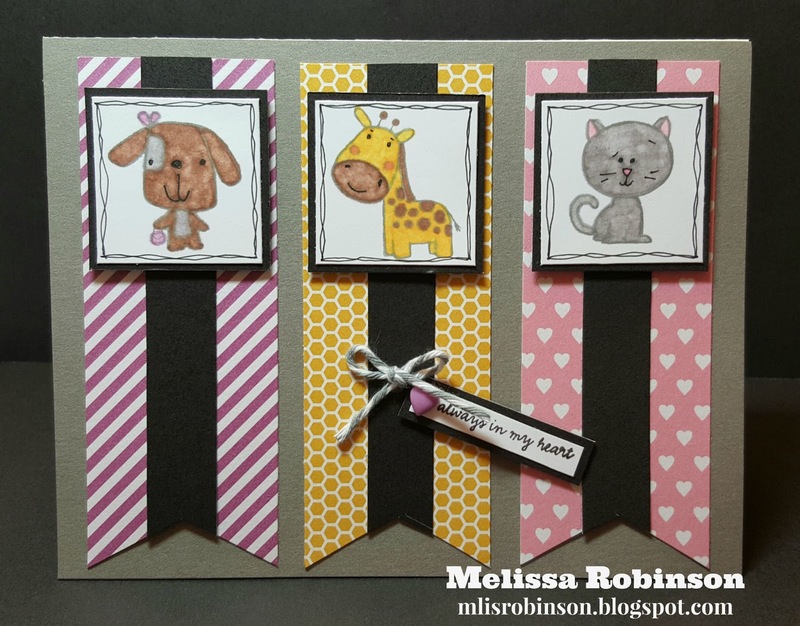 The card ended up looking pretty cute when the bow and hearts were added. I hope you like it. 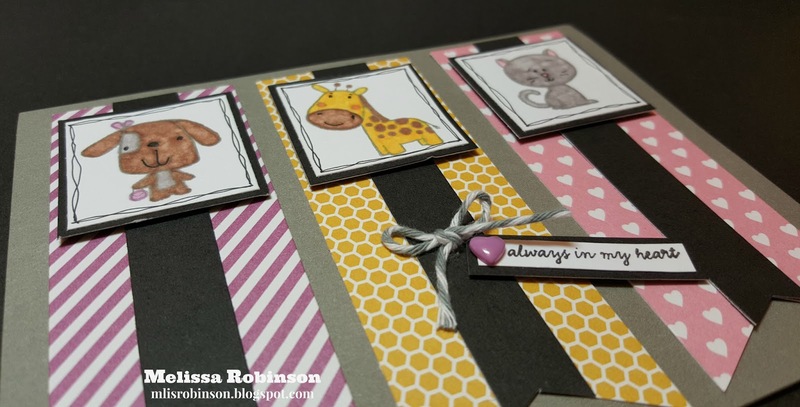 Consider leaving a comment and then head over to Vickie's Blog to see what artwork she has created. This week, at Heart 2 Heart, the challenge is titled "Coloring" and you get to interpret what that means. I did the obvious. I colored my images and designed this fun and cute card using the newest Operation Smile stamp set, "Animal Greeting". Isn't it adorable?! 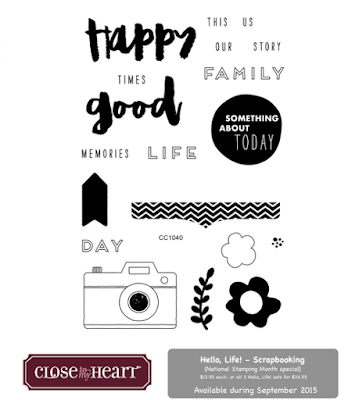 For every stamp set purchase, Close To My Heart will donate $7 of the proceeds to Operation Smile. I am so proud of this cute li'l card! 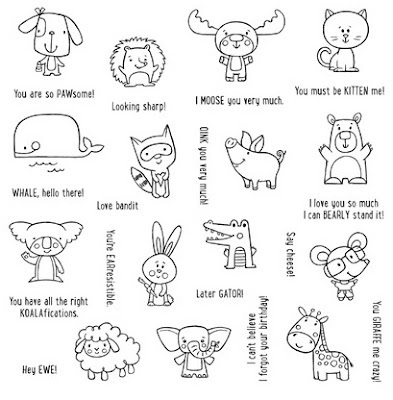 I love how it turned out but mostly love the cute and adorable little animal images. I know the perfect person to receive this card. I know she will love it! I doodled around the squares, added the sentiment from our NEW "This Happened" Roller Stamp, added some Slate Twine (retired) and a fun heart from the NEW Enamel & Glitter Duos Purple Hearts. Thanks for stopping by and I would love for you to leave a comment, letting me know what you think of my card. 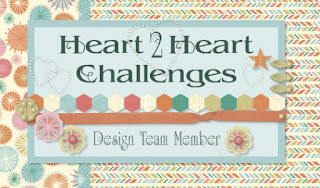 I look forward to admiring everyone's artwork aligned with the theme of the Heart 2 Heart weekly challenges so consider joining us. Welcome to our blog hop this month where we are featuring the fun and NEW product line, "Nevermore". 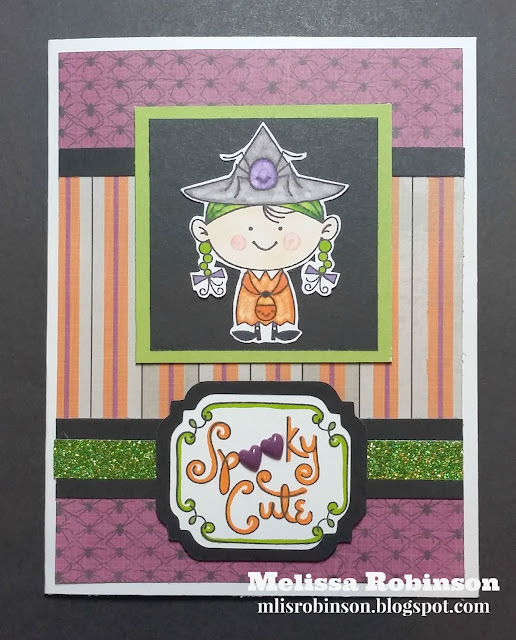 While geared towards Halloween, paper patterns do allow for other themed items and I look forward to exploring that a bit more this month and through the lifetime of the Idea Book. If you are coming from Judy Faye's Blog, you are on the right track. A complete list of participants is listed at the bottom of this post. 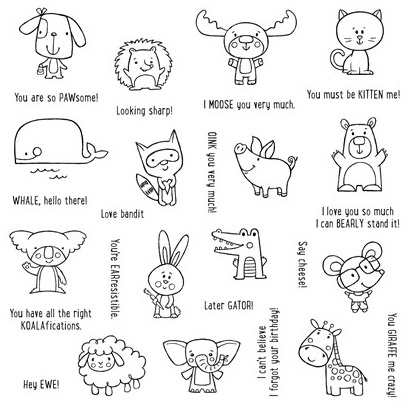 I love love love this new stamp set, "Little Monsters". It is absolutely adorable and I especially love the witch and Frankenstein. 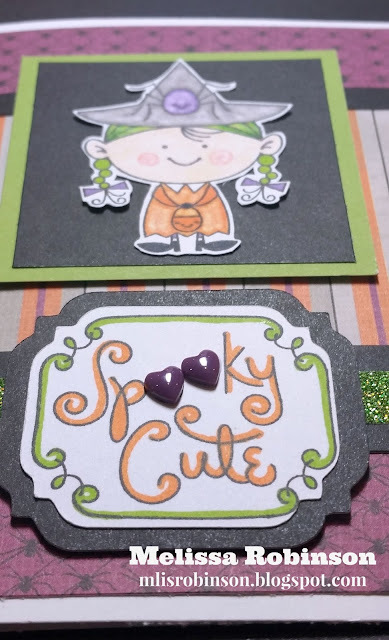 This card was kept simple, using two patterns of the Nevermore paper, some Black and Pear cardstock, Green Shimmer Trim, and the beautiful and NEW Enamel and Glitter Duos Purple Hearts. ShinHan markers were used to color in the witch and outline the sentiment. Both of the stamped images were 3-D on the card. Now, hop on over to Aggie's Blog to see what fabulous creation she has in store to share with you. We always appreciate you joining us and look forward to your comments, letting us know how you feel inspired and excited to use the products we have showcased. 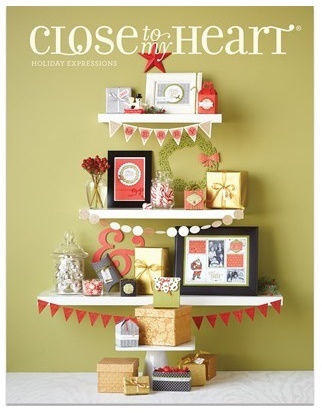 New products were released yesterday morning in these two publications, "Annual Inspirations" and "Holiday Expressions"! The products and artwork contained are absolutely beautiful and fun! 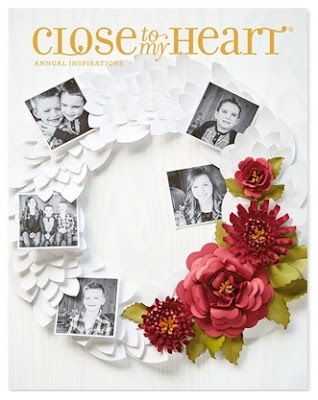 This is definitely the best Idea Book yet and my wish list is way long! You can get a copy of both of them FREE when you place an order - through me or directly on my website! HERE is a link to the online version to whet your appetite while you await a hard copy. 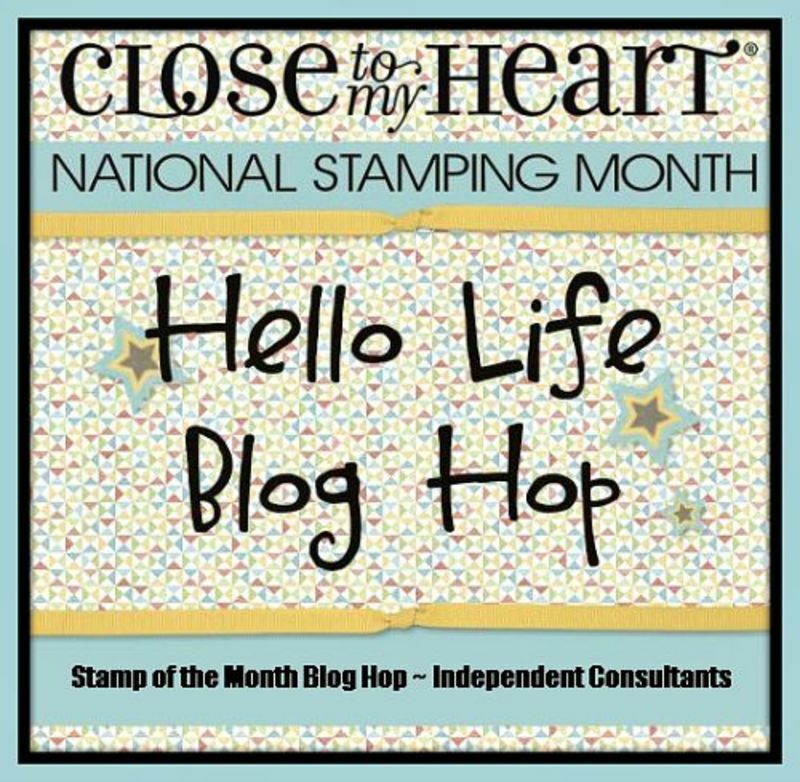 Happy National Stamping Month! I intend on celebrating this month as much as possible, papercrafting away! :) How about you? 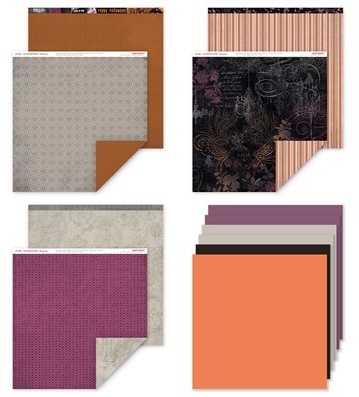 In CTMH colors that translates to Topiary, Lagoon, Glacier, Sorbet and Cranberry. I decided to incorporate one of the new and exclusive stamp sets made for National Stamping Month on my card. I totally love all three of them and you can either buy them separately or get more than a 15% discount when you buy all three of them at the same time. Here they are. Aren't they fun?! You can click HERE for full details. I used the top stamp set for my card. 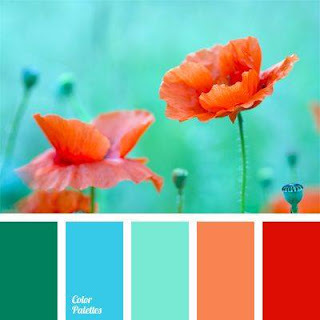 To create this card I did pull out a sheet of cardstock of all the colors. They looked gorgeous together and I went to work. I kept the card rather simple, adding just a few things to finish it off. The paint "splatter" comes from a new stamp, "Ink Blot", and was stamped in Glacier ink. The sentiment was stamped in Black and Cranberry. The star was also stamped in Cranberry and I doodled around the focal point and then added Lagoon Shimmer Trim and Gold Sequins. I did score the Topiary piece of cardstock and sanded it for the striped pattern. I truly appreciate you stopping by and would love to know what you think of my card, if you have a moment. I look forward to seeing fun artwork creations in this week's challenge. Have a blessed week and see you on the Heart 2 Heart Blog!